This is a screen-grab from my new MacBook Pro and it’s running Windows 7 in a OS/X window. It’s not magic, it’s the free open-source VirtualBox virtualizer from Sun Microsystems. At less than half the price of Parallels! It works. It took no time to set up. And it means that I can continue to run some of the essential windows-only software (such as Camtasia Studio), Windows Live Writer, etc, during my transition from PC pragmatist to Mac Zealot. If the upgrade of my 2-year-old Dell office desktop to Windows 7 from Vista is anywhere near as smooth, I’ll be very surprised! 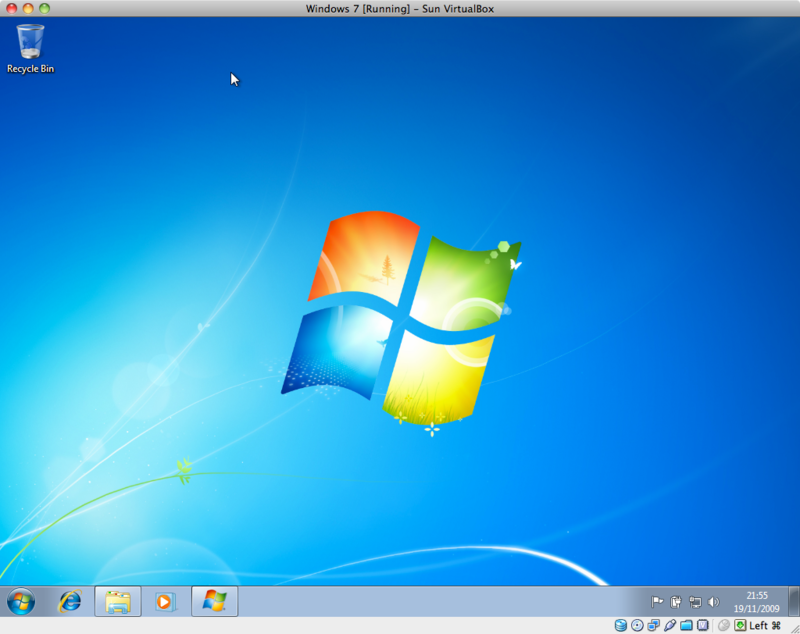 For more on running Windows 7 on VirtualBox on the Mac, these “[Fat Bloke’s Shorts](http://www.virtualbox.org/wiki/VirtualBoxTV)” videos from VirtualBox TV are a great introduction. Over the last couple of weeks I’ve started getting comment spam attacks on this blog via my comments stream. There’ll be comment like “I visited your blog and I’ve saved to read later” from a (presumably) bogus user. But the comment will include a number of links to dubious services. I use Disqus for my comment handling and I’ve had to gradually turn up the moderation settings so that now all comments have to be moderated. I’m sorry about this, but perhaps the bad guys will eventually go away! I’ve noticed a few sites that I visit have also been link-spammed in a similar way, and Captcha technology doesn’t stop them. Presumably there are unscrupulous people who pay human beings to go to blogging sites and add link spam messages: sort of like the [gold farming](http://www.guardian.co.uk/technology/2009/mar/05/virtual-world-china) that is done in China for World of War Craft players who can’t actually be bothered to play the game!